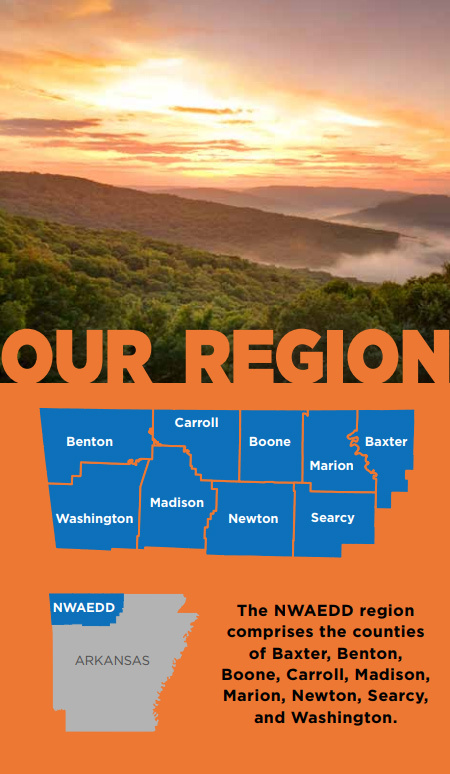 The Northwest Arkansas Economic Development District (NWAEDD or the District) is an economic development district designated by the U.S. Economic Development Administration (EDA). As the region’s economic development district, it is responsible for developing a comprehensive economic development strategy (CEDS) that identifies economic and community development priorities for the District. The District is composed of all the county governments and incorporated municipalities within the counties of Baxter, Benton, Boone, Carroll, Madison, Marion, Newton, Searcy, and Washington Counties. 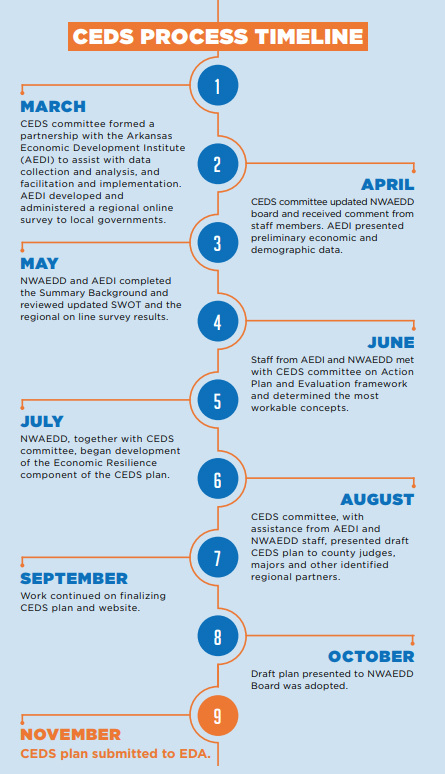 This CEDS plan follows the new guidelines released by the US Economic Development Administration in September of 2016 and is a strategy-driven plan developed by a diverse workgroup of local representatives from the private, public and nonprofit sectors. Summary background of the economic conditions of the region. Evaluation framework to develop and monitor performance measures incorporated in the plan. 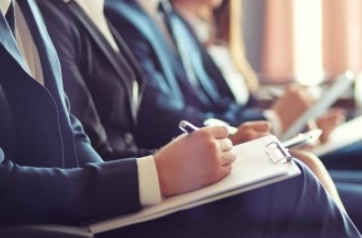 The District’s CEDS committee will work to create a strong relationship between action plans and performance measures for economic and community development at the regional, state, and federal levels. The regional and county profiles highlight the demographic and economic statistics of the region. As the data shows, tourism, (retail, accommodation and food services combined) government services, manufacturing, and healthcare are the leading employers, with healthcare projected as the leading growth industry. To support these businesses and develop a broader foundation in other industries such as advanced manufacturing, agriculture, and professional services, it is essential that local governments in the region continue to collaborate on essential services such as the built infrastructure, broadband, and housing. The region is experiencing remarkable population growth. From 1990 to 2017, the number of residents nearly doubled and the region’s population should surpass 700,000 by 2027. The economically booming counties of Washington and Benton contain almost 70% of the population of the region and experienced double-digit growth from 2010 to 2017. Three counties experienced low to moderate growth ranging from 1.3 to 4.0% and the remaining 4 counties lost population. From 2010 to 2017, the fastest growing age group in the region was residents over 65. This reflects the region’s attraction as a retirement destination. 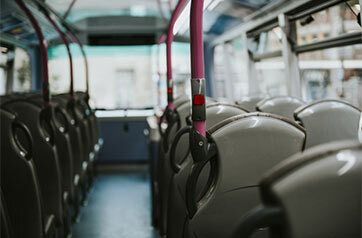 It also requires planning and strategic investment to address the needs of an aging population including additional transportation options, infrastructure improvements and access to affordable healthcare particularly in less affluent counties.